20. Quantum Physics: Illusion or Reality? Scientific Philosophy, just as valid as ever, fantastic. This was written about 101 years ago as I write this review. The science documented in this book is fascinating in it's own right, but that is not the reason you should read this book. The snapshot of science as it existed is also fascinating. The use of the English language is extraordinarily clear to me, even though the phrasing seems quaint. It is very clear that much effort went into word and phrase choices to get just the right idea across. Words are used efficiently. There are no wasted words. But none of that is what's most important to me. What is really astonishing, and appropriate especially for modern audiences, is the authors philosophical approach to what science really is. Is science the curiosity itch getting scratched? Is science the mundane application of the "scientific method"? Is science the production quotient of associate professors? Is science simply adding to human knowledge? It is none of the above. Science results when engineers ask for "a better light" and the "physicists" labor to get him that. Science results when doctors ask "how does this remedy work?" and the chemical "physicists" labor diligently to figure it out. In his mind, science is mostly physicists. But it also includes the "educated, erudite amateur" who "strives to understand" the modern developments in the scientific world. He states that "complicated physical models" deter "all but the boldest of human minds". He does not criticize the models at all, just notes that all but very bold minds are deterred. What is really cool is that he can see eras in human history where scientists have declared victory over their fields, in that the scientists of historical times seemed to have felt that all of science was laid clear, and that there were no more mysteries to analyze. This scientific hubris has been punished time and again with old theories laid waste with new discoveries. He is completely aware that of all the modern discoveries, many will be laid to waste with more modern work. This is perfectly clear with his many faceted deliberations on the "ether". The "ether" is mentioned again and again. As the scientists of 1909 struggle with the "ether" again and again, it is clear to us in hindsight that the struggles were because there is no ether. I think they understood that of all the possible results of their labors, an understanding that there is no ether at all would have made sense to them, but they really struggled with it. It is also very interesting to note that almost every theory discussed in the book has a name attached to it. In other words, you wouldn't say "gravitational theory", you would say "gravitational theory of Newton". You wouldn't say, for instance, discovery of the gamma rays. You would say, instead, "discovery of the gamma rays of Madame Curie". In scientific communication, this would immediately let your reader know that you were talking about the Rays that Madame Curie was laboring to investigate, and all she has written about it. The science is, therefore, quite tightly attached to the person and personality of those people who investigated it. Nowadays, with science by committee, hundreds of co-authors, and funding by agencies, this personal attachment to scientific advance is completely gone. Just imagine someone saying, for instance, the "Standard Model" of Feynman of particle physics. Or, the "Black Holes of Hawking". Maybe Hawking's black holes are sufficiently different from the "Chicago School's" black holes, but we just don't speak like that anymore. Reading this book is, therefore, Nostalgic on a very large scale. I think that this book should be required reading of college students of science and history and communication. It is that important. 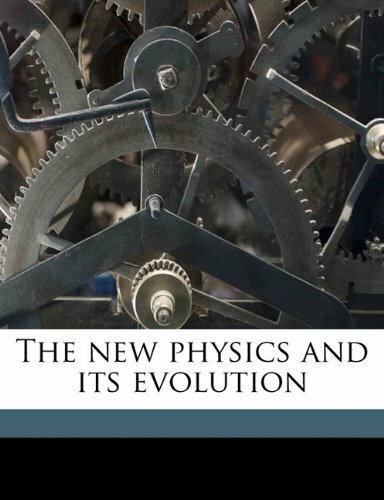 This is a very nice book which concentrates on what was known in the field of physics in the first decade of the 20th century. When it was written (1909,) radium and X-rays had recently been discovered, and physicists were still trying to explain the mysterious ether. In his forward the author says that the reader need not know anything about physics to understand what he writes, and that is largely true, but the more you know before reading the better you'll understand the details. The table of contents tells exactly what is in each chapter, but it isn't active, so you have to search for what you want. The TOC says that there's an index of names and an index of subjects at the end of the book, but they aren't there. I love reading these old science books because I find it fascinating to see how much was known about the sciences in previous centuries, and how accurate their findings were. It's interesting to read about things which were believed at the time, but which we now know don't exist, like ether and N-rays. I'm surprised that there's no mention of Einstein in this book, since his Special Theory of Relativity was published in 1905. Does just thinking about the laws of motion make your head spin? Does studying electricity short your circuits? Do the complexities of thermodynamics cool your enthusiasm? I bought this book as an aid for the course that the author use to teach at Cornell -- an autotutorial physics course. It is very helpful with extra examples and straight-forward explanations. It does not have problems in it, but I knew that and did not need them. It is also in the same order as the textbook for my class (College Physics), which makes it easy to follow along. We had to order this book for school. We only just started using it, so far so good! It seems easy to read and follow. 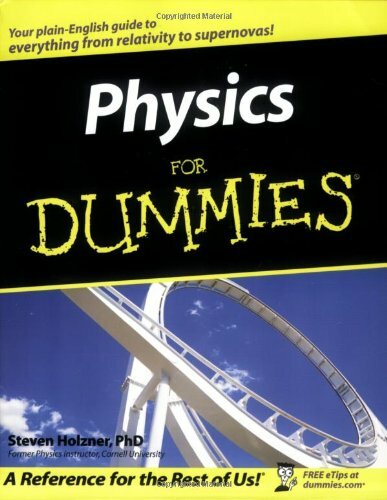 I recently purchased the book "Physics for Dummies" for my daughter who was struggling in her physics class. She says that it has been very helpful to her. Though she told me that it hasn't taught her anything new, it has helped her to make better sense of things that she has already learned. I bought this for my armchair science hobby and it's ok for that purpose I suppose. It's more suited for students that are still in school with a fresh understanding of math as that is what physics is mostly. I wouldn't recommend this book to anyone just interested in broad scientific knowledge as it's mainly just learning equations and such. Added to Library with other books to help communicate ideas and thoughts to kids.Variety in communicating is a great way to see other angles to help kids figure out how things work. 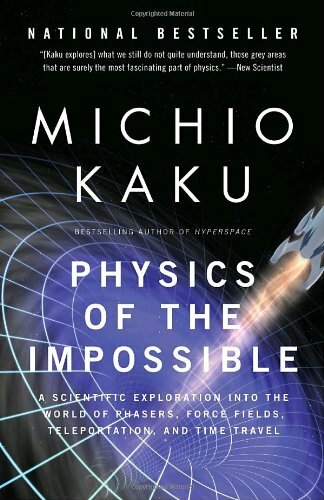 As with the rest of the Kaku books and videos this is perfect non math major work.I love reading about quantum physics and theory of everything stuff so this was a joy. This is a good book that will be sure to enthrall science fiction enthusiasts. The subject matter is about as interesting as it gets. As other reviewers have noted, Michio Kaku is talented in storytelling, and in reducing highly complex topics into analogies, comparisons, and other communication devices that the reader can understand - well, sort of, at least. For those who have watched Through the Wormhole and similar programs on TV, the subject matter follows suit closely in this book. There are a couple of topics that I was disappointed not to see addressed in the book, given that - at least to me - they would have seemed in-scope. One is personal human flight (a la Daedalus and Icarus of Greek mythology). Among the "physical impossibles", this is perhaps the oldest and most deeply held human desire of all. I have read that if humans ever colonize the moon and build aerated gymnasium-like spaces, then they will be able to strap wings on and fly around at will, courtesy of the moon's weak gravity. I would be curious to hear the author's comment on the feasibility of that. Along those lines, the subject of flying cars could have been covered also, though maybe this isn't in-scope for the book since these are no longer viewed as technically impossible, but rather just needing an economic and/or social justification. The second omitted topic is out-of-body consciousness. Very indirectly, the author touches on this subject in the chapter on parallel universes, when he mentions religious concepts of heaven. However, I think out-of-body experiences have been reported absent the spectrum of near-death-experiences that most readers are familiar with. Maybe this is too complex and emotional a topic to be covered in this book, I don't know. Also, I have a comment regarding the chapter on psychokinesis and its sub-topic - molecular fabricators - i.e. the concept of rearranging molecules and atoms so as to create an object, or change one thing to another. The author comments that it could eliminate poverty and rearrange notions of scarcity and hierarchy in society. That is no doubt partially true, but somehow I think society would still find a way to stratify its "haves" and "have nots". Perhaps gold would become the new exclusive measure of wealth (unless the technology could create gold atoms rather than just rearrange existing atoms). Or social status could be based on land ownership, or knowledge, or access to the technology or the required raw materials, or anything else not able to be directly addressed by the molecular fabricator itself. Despite the omitted topics, I still would give this book 5 stars - mainly because of the highly interesting and complex nature of the subject matter, and the author's skill in taking it on so convincingly. BookTV is showing an InDepth interview of Michio Kaku done October 3, 1010. This is my first exposure to him and to his ideas and naturally, I am in awe; grateful too for his easy ability to bridge his world of physics to this little layperson. I immediately came here to order at least one of his books, and find out more about Dr. Kaku and his books written for the general public. I want to thank Amazon and the reviewers here for having the rating bar graph and forum for input. All is thoughtfully done, and helpful...thank you. So, my review is more a comment with gratitude attached for this review process available. To mention, if you can make the time, this InDepth interview gives three and a half hours, (booktv.org), of this amazing author and theoretical physicist talking about science in quite an engaging, personable way. Some of the other "popular" accounts of physics look like daunting text books compared to this diagram and math free book. I have a BSc and a lot of graduate work in Physics so when I started home schooling my son for the AP Physics B exam I got some standard texts - Sears and Zemansky (11th edition), and Giancoli, and some AP study guides - and Schaum's.I gave up on the others and am sticking with Schaum's.My son is working hard but getting it.I know from having tried them early on that he would have had no chance with the expensive standard texts or the study guides alone.The way to do Physics is to do Physics and that means solving problems, seeing how to solve problems, and then solving more problems.All the pretty pictures and clever "aids" are useless.Problems, problems, problems.Then more problems.See a pattern here?This has a lot of problems, many are worked out in detail, and then problems like those are given with just the answers.After we finish this we will work on the the study guides which look useful, just 'sketchy' on the basics - they are only review books, after all. Even if you are in a calculus-based physics class, Schaum's will answer 80%-90% of your homework questions. You could probably get a A or B+ in a calc-based class with just this book alone. The Schaum's outline series books in math got me through an MA program in Math at University of Wisconsin.Now I wonder why the other texts even bother. As always with the Shaum's outline series, this book is exactly what I expected: a good , concise overview of the subjects and lots and lots of exercises. I hide this in my desk at work but sometimes use it for a quick reference either just before or just after engineering meetings and it sometimes gets me back up to speed on areas that I had forgotten. I'm coming from a bit of a different direction than most other reviews. I have plenty of mathematics experience and would have preferred the calculus based guide. However, that got such bad reviews that I opted for this one. My intent was to get up to speed on the basics of physics, which for some reason I was completely ignorant of. You don't need calculus for that. I'm starting to play around with electronics for the purposes of embedded development with PIC chips. With that said, this book did the trick. Not just as a supplement for a class but as a primer. It is short on conceptual explanations but much can be found in the worked problems. You may have to supplement with some instructional youtube videos if you're not taking a class and don't have a more hefty textbook to refer to for a more intuitive grasp of the concepts. Another plus is this book is 12$ from Amazon. I've had the book for two weeks and already find it an important part of my course materials.Like we have all experienced, not all professors are created equally.Where the textbook and instruction fail me, this book helps me understand some of the more difficult concepts through example.Though not perfect due to clumsy formatting, I would reccomend this to anyone. Brief synopsis of relevant formulas and definitions of key concepts for each chapter. Limited problems: though they can't fit every single problem ever encountered a few more would have been nice. Clumsy formatting: instead of having a list of problems in each section, the problems are just one after another in no apparent order forcing you to flip through an entire chapter to find a problem you could find useful. The problems for each topic start out easy and then get more difficult, so you can get a lot of practice, which is how one develops proficiency in physics problems.I was stumped on a kinetics problem in my textbook...they only gave the answer in that particular section, and not the solution, so I looked in Schaum's and found the same type of problem.So I was able to see how my textbook worked out the problem, and thus I was no longer stumped. The solutions are explained well, so I feel that I have gained a better understanding of the concepts. I give almost all Schaum's Outlines and Solved Problems Series a perfect 5 stars.They are indispensable in learning how to solve math, science, and engineering problems. This particular Schaum's has 3000 solved elementary physics problems (no subject outlines), with numerous beautiful illustrations.I skimmed the first 32 chapters and then read the remaining 7 chapters carefully; there are very few typos (e.g., a missing devisor in problem 34.91).The only issue on content I have is with the Special Relativity equation for relativistic mass, given in section 37.2Here, the author repeats the same mistake as practically every other author, claiming that the mass goes to infinity as the speed goes to c.This is patently nonsensical; what really happens is that the force goes to zero. (The basic equation is a = F/m; if a goes to zero, we can say that m goes to infinity, which makes no sense, or we can say that F goes to zero, which makes perfect sense. )Other than that slip, which is common to other books in this subject area, the work is splendid. a life saver for physics class! my professor pretty much leaves it up to us to learn the material for the tests.Since our textbook is extremely unhelpful, I needed something else to coach me through the problems! 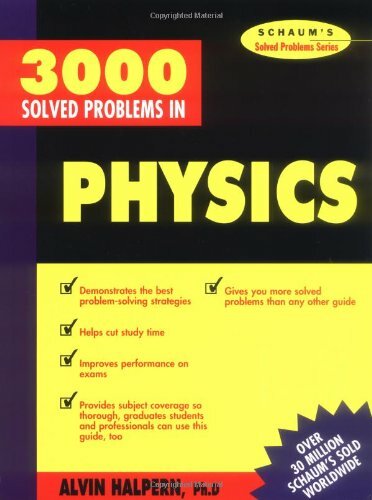 The 3000 Physics Problems Solved book gave me the practice and explanations that I needed.After our first test, the class average was a 68/100.I scored a 100!This book is worth it! Since defining this course 30 years ago, Paul Hewitt’s best-selling book continues to be the benchmark book that two-thirds of professors use and by which all others are judged. In Conceptual Physics, Eleventh Edition Paul Hewitt shows how a compelling book and the most advanced media can be integrated to empower professors as they bring physics to life for non-science majors, both in and out of class. 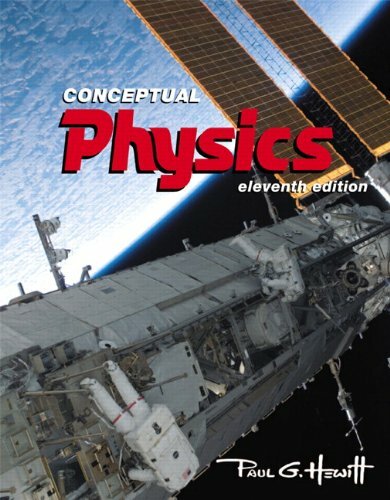 For the Eleventh Edition, Hewitt helps readers connect physics to their everyday experiences and the world around them, and provides additional help on solving mathematical problems. Hewitt’s book is famous for engaging readers with analogies and imagery from real-world situations that build a strong conceptual understanding of physical principles ranging from classical mechanics to modern physics. With this strong foundation, readers are better equipped to understand the equations and formulas of physics, and are motivated to explore the thought-provoking exercises and fun projects in each chapter. The new edition features a fresh new design, content that is more focused on physics applications, and updated pedagogical features. Great used book and great price. The book was in excellent condition.Had a little trouble with the shipping, but once I contacted the seller.They immediately corrected the issue and I got the book the next day.I would definitely order again from seller. Book listed as used, but was brand new and I saved 75 dollars that would have been spent at the college. Great communication with the seller. Would definitely buy from her again. Book arrived in great shape! This book is very dull. The content is dry and based on the author's personal theories and opinions, not facts. After reading this book, I have to say that it was pretty informative. I am not a scientist, but it was completely understandable, and didn't go overboard on chalk-board explanations. While I am sure I am not politically on the same side as the author - which means I did not agree with some of his conclusions - he at least acknowledged they were his opinions and did realize there are differing views. For the most part, I didn't see any political spin in the book, which was refreshing. To that end, it is a useful book when I get into discussion with my politically opposite friends, as this book was written by one of "them", and he debunks a lot of the drivel you hear these days from that side. All in all, not a bad book. I bought this book mainly because it had a chapter on energy and I'm very interested in that subject area.After reading the book I would have to agree with many of the comments that say this author has a bias and also it would appear some sort of axe to grind with Al Gore.I will try not to touch on what has already been said about the inadequacies of the book. The most important topic I believe is energy and in this book the author dedicates only three chapters to this very complex problem.One key issue is oil depletion which really if you want to have any insight you must get a book that is totally about oil depletion.On this subject one of my complaints is that the author talks about converting coal to oil.The issue I have is that the author did not talk about any of the environmental consequences that would arise from making coal into oil.The biggest one that even a 5th grader would ask is what is that going to do for the fresh water supplies that are more important to life that would be need for this coal to oil process. One other issue on the energy front that I think the author simplified way to much is the use of the automobile.While I agree that conservation is the best way to approach the energy problem, the author talks a great deal about putting more technology into vehicles to make them more efficient.The author did not mention the easiest and cheapest way to conserve: walking, biking, riding a bus, and basically relocalizing our living arrangement.Relocalizing is going to happen whether we like it or not so I advise looking into books about this subject. This is the first review of a book that I have ever been compelled to write.I think these are very complex issues (except for 9/11 conspiracy bunking) and each one should have had a book unto itself.This book doesn't even have any references listed to back up the authors statements.Do yourself a favor and by a nice bottle of wine instead of this book. 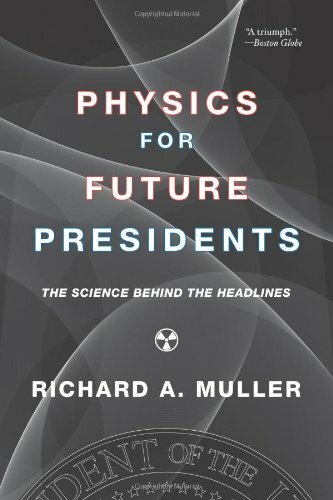 Its clear that the "for future presidents" means "for those wanting to understand the complex world we live in". And it does that, gives you the basic understanding needed to be able to read the papers and feel you can judge for yourself the leaders decisions on issues that are technical but not only techincal. so, the contents are excellent but the writing is also pleasant. I read it in 36 hours pretty much without a stop. Product was shipped quickly and arrived in good condition.Pleasure to do business with. This book is probably great for middle school and high school American Physics. It is not appropriate for College Physics. It uses American units (lbs, inches, etc) which is not acceptable in any physics course above middle school. Most high school and college courses, and any true scientist will always work in SI units (meter, kilogram, etc). Its great to read through and understand basic physics, but not much more. I bought several physics books for my husband, as he really wanted to learn physics. He never had it in school so he needed a basic physics book. Out of all the books I bought, this one is by far his favorite. It explains everything very well and truly works well as a self-teaching guide. 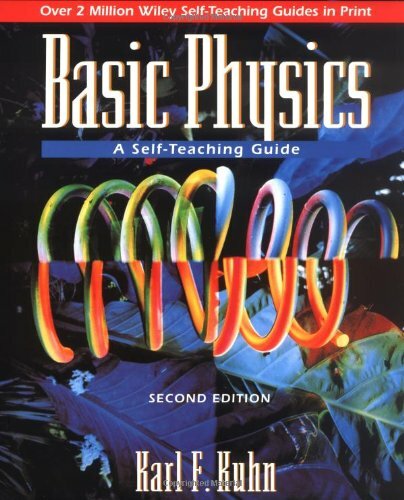 Highly recommended if you are looking for a good book as a basic physics refresher or to learn about physics for the first time. It goes over all the areas of general physics, which provides a great overview of the subject. I was concerned that a book on physics - a subject entirely new to me - would become complicated and confusing fairly quickly.I was wrong - this text is organized thoughtfully. I purchased this used book from Amazon fulfillment, not from a third party. Used practice test books seem to have the answers already circled. Therefore, they are sometimes unusable as a real test. I have encountered this problem multiple times. Beware!!!!!!!!! My freshman daughter used this book to prepare.In her words,"The practice tests in the Princeton Review were nothing like the actual SAT test. "The practice tests are based more knowing equations and formulas rather than conceptual problems as found in the SAT.She spent much of her time studying equations that weren't on the SAT.She still scored above 700 which she attributed to classroom learning.It's a good book for covering topics that you haven't studied previously, but "you can learn that from any physics book. "I guess the bottom line is, if your physics class every topic in the SAT, this book won't be of much help.Perhaps it's a good book for reviewing.Just don't focus on equations and such. 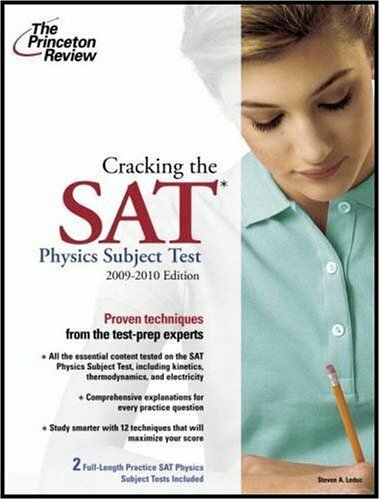 This book covers all the major SAT Physics Subject Test topics. It will be very easy for you to read and practice if you have taken a one-year introductory course in physics (including mechanics, electricity and magnetism, and miscellaneous topics). 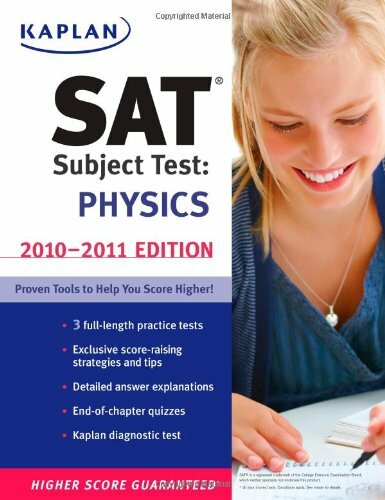 If your physics course in high school has only covered mechanics, then you will need a regular physics textbook instead of an SAT physics book to learn electricity and magnetism and miscellaneous topics by yourself before you take the SAT Physics Subject Test. For AP Physics B or C Test, this book will not have in-depth coverage. 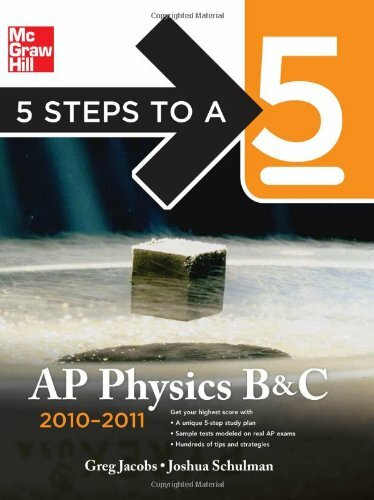 Instead, The Princeton Review's AP Physics B or C book will be highly recommended. Get this to prepare for SAT physics; it covers areas not in the AP books! My son has taken both the SAT Subject Test in Physics and the AP Physics C exam this spring. We got a study guide for each, since the SAT Subject Test covers some information that is not on the AP exam. This book helped him review Thermodynamics and Optics, which were not on the AP test. It was worth getting for that purpose alone. But it would not have been enough to get just one book; he needed the AP book for the level C test, since it involves use of calculus (unlike the SAT Subject Test and the B level AP test). We don't have his scores yet, but he thinks he did well and found both Princeton Review books to be helpful. In trying to understand the atom, physicists built quantum mechanics and found, to their embarrassment, that their theory intimately connects consciousness with the physical world. Quantum Enigma explores what that implies and why some founders of the theory became the foremost objectors to it. Authors Bruce Rosenblum and Fred Kuttner explain all of this in non-technical terms with help from some fanciful stories and anecdotes about the theory's developers. They present the quantum mystery honestly, with an emphasis on what is and what is not speculation. Quantum Enigma's description of the experimental quantum facts, and the quantum theory explaining them, is undisputed. Interpreting what it all means, however, is controversial. Every interpretation of quantum physics encounters consciousness. 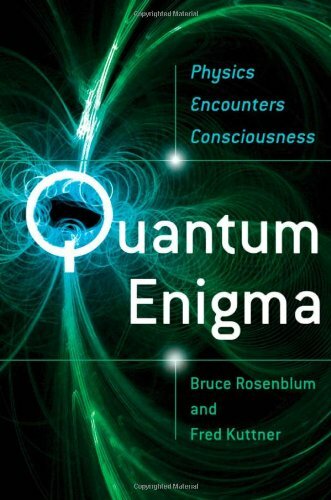 Rosenblum and Kuttner therefore turn to exploring consciousness itself--and encounter quantum physics. Free will and anthropic principles become crucial issues, and the connection of consciousness with the cosmos suggested by some leading quantum cosmologists is mind-blowing. Readers are brought to a boundary where the particular expertise of physicists is no longer a sure guide. They will find, instead, the facts and hints provided by quantum mechanics and the ability to speculate for themselves. "A remarkable and readable presentation of the basic mysteries of science, our universe, and human life. Critically important problems in our understanding are interestingly discussed with perception, depth, and careful objectivity." "This book is unique. The clearest expositions I have ever seen." "An immensely important and exciting book." "Exposes the hidden skeleton in the physicist's closet." It's rare that I enjoy a book so much that on finishing the last page, I fill with the melancholy that 'it's really over,' then flipping back and forward again, I make the decision to re-read it right away. This is just such a mysterious and interesting subject, written with a great deal of style, and presented with the sure-footedness of someone who teaches this as their career. The book's scope feeds equally a sweet tooth I harbor for both science geekitude, and escapades in unconventional spirituality. I just ate this book up, reading it on my iPhone whenever and wherever I could, like a very guilty pleasure. I wholeheartedly recommend this book. I found Quantum Enigma disappointing in several respects.Most importantly, the book wastes chapters on tangential matters that have little or nothing to do with the central thesis.The section on cosmology, black holes, Hawking radiation (huh? ), and the Big Bang seem like total filler (got be 200 pages to be a hardcover. )On the other hand, the book trips lightly through several topics of absolutely central importance.THE central experiment that illustrates the quantum enigma - the double slit experiment - is barely discussed.Rather the authors hint at the topic via an allegory about people in huts.I've no problems with allegory and metaphor, but they should be introduced as explanatory devices after the real experiment and its outcomes are fully described.The section on "robotic observers" was, in my opinion, critically important but grossly terse.I reread it several times and still don't grasp the logic of the argument - maybe I'm stupid - but I don't think so.The book is highly repetitive (at times it seems like an amalgam of unedited lecture notes) and yet still full of logical holes.I've no doubt that the authors have the capacity to do far far better, but brilliant scientists rarely make great authors.They simply can't comprehend why complex concepts are not "obvious" (Brian Greene being a rare exception. )Scientists in general, and these authors in particular, desperately need to be guided by a skilled editor.That's what's clearly lacking here.I suggest the authors try again but this time with a publisher willing to invest the editorial time and effort that's required to bring order to these sketchy notes.Cut the fluff and spend some real effort to dive deeply into each central topic. When I first encountered quantum physics, I thought I would be somewhat of a geek for reading about physics and its `encounter with consciousness' on my spare time.I opened the book, not really know what to expect.I am decent at physics, psychology, and philosophy, so I figured I would be able to get the basic idea of the book. Soon, I was intrigued.The book presented one of the most mind boggling question in physics and our acceptance of reality.Physicist have shown that atoms are capable of duel properties.For a example - scientists have shown in `inference experiments' that light can be both a wave and a particle. A similar experiment was done with 4 pairs of boxes, a mirror, and `wavefunctions' (which we'll call marbles).Under one of the boxes in each pair , was a marble. The results of the experiment indicate that before one of the boxes was lifted, the marble was in both boxes at the same time.It's baffling, `controversial', but true!This also helps to present the idea that our own consciousness creates the reality we are given.It's strange to consider that our own consciousness assigned every atom's property, place, and structure.Hopefully one day, our technology will help us understand this mystery more and solve the unknown questions of the Universe. Overall, it's a great book!I hope to learn more about quantum physics in the future. This is quite a good book, but very much written for high school or undergraduate students. It explains the concepts clearly enough, but the prose is fairly workmanlike with a tone of earnest cheerfulness. It sets many of the key lessons as little stories or skits - it is an effective teaching method, but makes for annoying reading, as do the slightly corny verbal gimmicks and line drawings. It would suit non-technical readers who are coming to the subject without much prior knowledge. For the more philosophically sophisticated, there are better titles out there. Not a bad book, and filling an important gap, but not exactly what I was after, although at least it signifies that a somewhat esoteric subject is becoming mainstream. If you think a negative charge is something that shows up on your credit card bill -- if you imagine that Ohm's Law dictates how long to meditate -- if you believe that Newtonian mechanics will fix your car -- you need The Cartoon Guide to Physics to set you straight. You don't have to be a scientist to grasp these and many other complex ideas, because The Cartoon Guide to Physics explains them all: velocity, acceleration, explosions, electricity and magnetism, circuits -- even a taste of relativity theory -- and much more, in simple, clear, and, yes, funny illustrations. Physics will never be the same! Valuable book even for University level physics! Great book for understanding the basic concepts of physics related to engineering or the biological sciences. 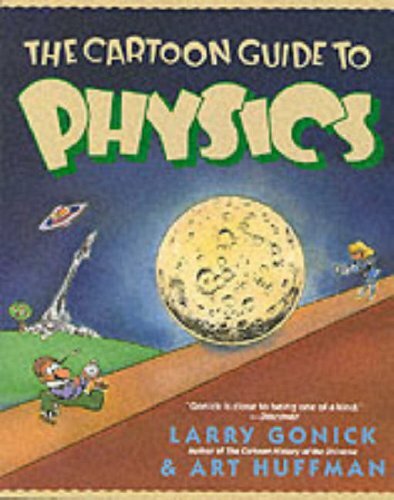 This book contains a plethora of amusing cartoons but the word guide is very misleading.This book does not contain any useful information for anyone seeking guidance or helpful hints about physics. I had to get this book for my Intro Physics class.It's a good book and it's great at getting the basic ideas across.It's not your average text-book by any means though.It's truly the same as reading a cartoon strip.The font is scribbly and there are characters sort of explaining everything along the way.It's a descent book and there actually are some funny moments. This book is very useful to get an overview of the different concepts presented in Physics, but it is not a stand alone text. The cartoons are funny and memorable though. This book is a masterpiece - a gem for anyone interested in metaphysics.Perhaps one of the best written over the last several decades. The book starts off by recognizing the key tents of Eastern spiritual thought for key schools of philosophy and also the evolution of physics over time. 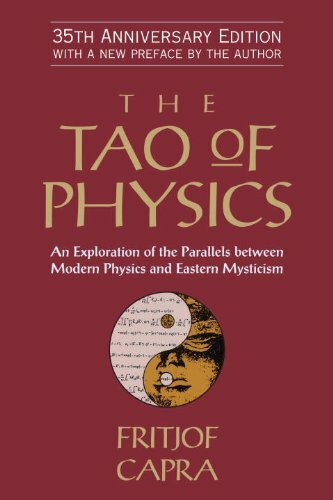 Then the following chapters explore what concepts like quantum theory/relativity really mean, how they have evolved, what their broader significance is and how they can be related to the philosophies of eastern spiritual thought. Writing a text like this is an achievement of a lifetime - Kudos Mr. Capra!!! This book offers a compelling and accessible description of our relational universe - one in which the relationship between entities is more important than the entities themselves, in fact, one in which there are no entities, just energy and relationships. By the end of the book (especially if you read the afterword of the 4th edition) you reach a point of understanding that the future of our world depends on us achieving in every day life the paradigm shift that has occurred in the new sciences, that of deep ecology.Deep ecology understands that everything in this universe is a system and that all systems are interconnected. In our everyday lives we don't possess the sensory capacity to perceive how deeply this interconnectedness goes. This book encourages us to strive for ways to broaden, deepen and awaken our sensory capacities in order that we might personally glimpse the interconnectedness of everything.While we continue to operate according to a paradigm of mechanical parts that can be isolated, fixed and (if need be) eradicated we will fail to see the extent of the effects of our actions on each other and our world. Descriptions of the scientific facts that support this world view make a challenging read at times, but give the book depth and credibility.The real artistry in this work is the weaving of dry scientific fact with compelling quotes and passages from the writings of both modern scientists and eastern mystics from many traditions. Fritjof Capra wrote this book 30 years ago and what struck me most is how long it has taken for us to shift our thinking and our language to reflect the relational nature of well ... nature.Even physicists - those working with these concepts on a daily basis still cling to a world of "things".I am left with the question of when we will reach the tipping point where more of us than not are striving for connection with and understanding of the very systems on which all life depends. It has been the first time I have read a book that compare both concept that at the end, share the same view. A witted book at most. Fritjof Capra in the Tao of Physics, seeks to reveal his perspective in relation to physics and mystical Eastern belief.He tries to unite these two opposites' fields that seem to have been in disagreement during the previous centuries.He analyzes Hinduism, Buddhism, Taoism and Zen and tires to show it's parallel to the new trend of thought in physics. The book overview on Eastern philosophy is a good introduction to anyone who has little knowledge on the subject. Although, Capra tries to explain physics in simple terms by omitting mathematical complexities in explaining physics, it is not easy for the novice or for the average person to understand the physic theories that Capra tries to explain in his book. The overemphasis on parallel between language of the mystics and that of the new physicists tends to get confusing and often times, redundant. For instance, in describing the comparison of the Hadron Bootstrap Theory and that of the Mahayana Buddhism belief of space and time can be viewed as Capra forcing his desire to explain physics in a new way. Overall, I found the book interesting, witted, and entertaining, especially, in his realization of Tantrism in Hindu mythology. An interesting perspective. But it is least of all to history that we should look for confirmation of Capra's thesis. In the early chapters he blames Aristotle and Christianity for the ensuing "lack of interest in the material world" (p. 22). But what cultures ever displayed a more profound and studious disregard for the material world than the Eastern mystical traditions? And why would they hold in high regard something that is at best a creation of the human mind and at worst a deceptive illusion? When Richard Bartlett first experienced the origins of his Matrix Energetics program, his goal was only to help the patients who brought their myriad health problems to his Chiropractic practice. Now, nearly ten years after the event that would redirect the entire course of his life, Dr. Bartlett brings the power of his seminars into the book, The Physics of Miracles. By lightly touching his clients while at the same time applying focused intent, he could restore them to a physically, mentally, and spiritually balanced state, instantly shifting misalignments that had plagued them for years. Most astonishing of all, he could teach anyone how to do this. Now, for millions of people looking for empowerment in an age of declining and impersonal healthcare, Dr. Bartlett shares this phenomenon in a book full of explosive potential. 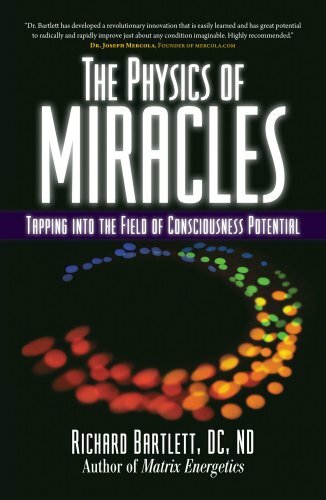 In The Physics of Miracles, Dr. Bartlett builds upon his popular seminars to teach us how to access the discovery he has made—a process that merges the science of subtle energy with our innate imaginations to produce measurable results. By applying forces known to modern physics, each of us can tap into states of healthy awareness from different moments—in essence, travel in time—and bring them into the present for immediate, profound results. As Dr. Bartlett clearly shows, this practice requires no special training, produces transformation in the blink of an eye, and is available to everyone who has a willingness to learn. I was surprised by the amount of truly useful information. Definite techniques are given, not just a lot of theory. I have been able to include some of the practices in my work. Good book. Can read one chapter at a time. Richard adds much physics research (ugh) and tie -ins plus more applicable technique information than the first book plus added seminar and personal experiences. Should be understandable and usable to ME wannabes and eye openning and stimulating to the uninitiated. Those who are looking for any real solid science should perhaps wack themselves silly with the hardcover before reading. This one's a keeper for me. And one I'll read several times. Muy buen libro.Es muy útil para aprender física porque explica todo con mucho detalle y no sobreentiende nada. Lo recomiendo. I received this book in a timely manner and in good condition. It was just as expected. I'm an AP Physics teacher, and let me tell you, this book was a lifesaver for me the first year I taught the course.The amount of information that is available via the College Board and other online sources is overwhelming, to say the least.I floundered around for awhile during my first year until this book was recommended to me by our AP coordinator. I love that the authors were able to succinctly cover all of the topics on the AP Physics B exam (I cannot speak to the C material as I do not teach that course).The chapters are well-organized, efficient, and easy for students to read.The style of the Multiple Choice and Free Response questions in the book for is an accurate reflection of the College Board's style and students gain valuable experience by reading them.The other AP Physics Review guides out there tend to be bloated with excessive information and are not easily approachable by any stretch of the imagination.This book is far and away the best out of the various guides I've examined. Kaplan SAT Subject Tests offer the most up-to-date and complete coverage of both content review and strategy needed to achieve a high score on these challenging exams, which can be used for college credit at many schools. Each book contains a Kaplan diagnostic test, full-length practice tests, chapter quizzes, score-raising tips, and detailed answer explanations. Also included is a special section with details and advice on the new SAT score-reporting changes. Kaplan’s Higher Score Guarantee gives students a significant edge during these competitive times. With focused content review, proven strategies for scoring higher, and comprehensive test practice, Kaplan SAT Subject Tests get students ready for test day. 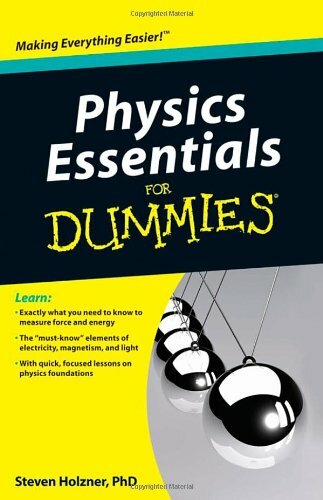 For students who just need to know the vital concepts of physics, whether as a refresher, for exam prep, or as a reference, Physics Essentials For Dummies is a must-have guide. Free of ramp-up and ancillary material, Physics Essentials For Dummies contains content focused on key topics only. It provides discrete explanations of critical concepts taught in an introductory physics course, from force and motion to momentum and kinetics. 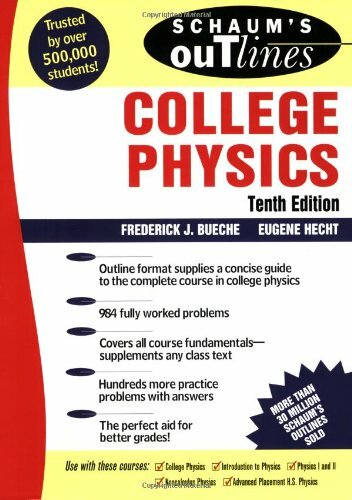 This guide is also a perfect reference for parents who need to review critical physics concepts as they help high school students with homework assignments, as well as for adult learners headed back to the classroom who just need a refresher of the core concepts. Do you have a handle on basic physics terms and concepts, but your problem-solving skills could use some static friction? 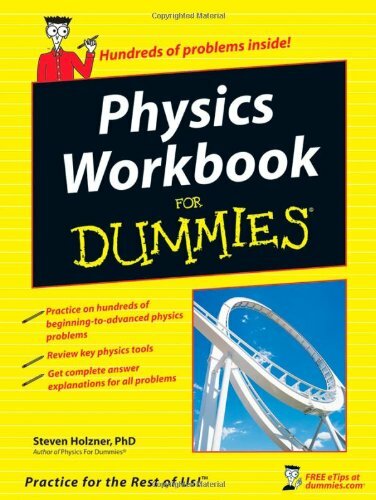 Physics Workbook for Dummies helps you build upon what you already know to learn how to solve the most common physics problems with confidence and ease. Physics Workbook for Dummies gets the ball rolling with a brief overview of the nuts and bolts (i.e., converting measures, counting significant figures, applying math skills to physics problems, etc.) before getting into the nitty gritty. If you’re already a pro on the fundamentals, you can skip this section and jump right into the practice problems. There, you’ll get the lowdown on how to take your problem-solving skills to a whole new plane—without ever feeling like you’ve been left spiraling down a black hole. Complete answer explanations are included for all problems so you can see where you went wrong (or right). Plus, you’ll get the inside scoop on the ten most common mistakes people make when solving physics problems—and how to avoid them. Good simple excersises that fill in the blanks and help start you slowly and simply into the concepts of physics.My order took a month to arive via regular mail. A new edition is needed. It is a shame that this nice workbook has so many errors in the solution sets. Unlike the Schaum 3000 problems this workbook can be easily used to teach yourself basic physics.All that is needed is a basic knowledge of algebra. No calculus needed. It is not expensive to proof a book like this. You find a needy grad student and they will do it for a resonable amount. It should be assumed that even under the best of circumstances that errors will occur. However, this workbook has too many. It is a shame because the author teaches well. It is a shame to mystify a student because the wrong answer is in the solution set. Please redo this workbook. Having never taken Physics in high school or college, and having labored through Astronomy w/o this prerequisite, I decided now that I am over 70 that it was high time to learn something new.On the first few pages of this workbook I learned so much that I never knew before about "scientific notation! "I'm just beginning but at least I know what all the plus and minus exponents of 10 stand for.That's great! Like everyone is saying, there a lot of errors in the solutions, and many more subtle errors due to rounding and how significant digits are handled.If you get within 5%, you probably got it right.Some of the sections are a little soft compared to the Physics for Dummies book itself. These problems aside, the combination of the book and workbook make a good introduction to the subject, and if you do the work earnestly, it will equate to a basic high school class, in my opinion. A very good resource with a few minor flaws. 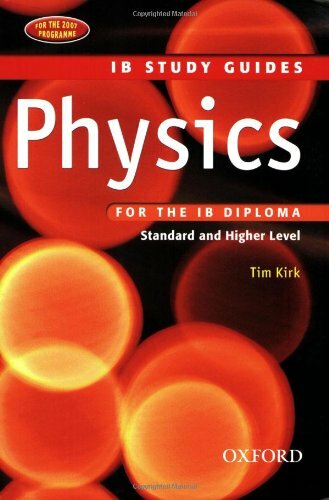 I am an IB Diploma graduate.This book was a significant aid that led to me getting a 7 in IB HL Physics.It has basically all the information you need to know for the exam, although it is generally meant more for review than for actual learning. A few caveats: a few of the chapters are just not that good - it seems like the author got lazy or something.Particularly the chapter on particle physics was awful.Also sometimes the book does quirky things with nonstandard symbols.Other than that though, a fantastic and useful resource. I had my IB final exams last week and physics is by far the hardest of them all. This book is very well organized and it tells you what you need to know and what you dont need to know. Not only that but it simplifies the topics so you are able to understand them. This book is the only reason why I passed the Physics Exam. and it is alway easy to order books from Amazon. I have not to get out the house. And its also nice to get a mail in me postbox. This book is the best thing you could buy for the IB Physics test.It has all the information you need for every single topic.And it goes in order.Nothing is left out.The text looks intimidating at first, but once you start reading and highlighting, it becomes so easy.I used this book to study for my IB physics SL test, and I got a 7.Oh yeah, and for one of my options, I studied a topic my teacher never taught in class.I learned it all myself from the book.So that just goes to show how good it is.I higly recommend this book to anyone that wants to score high on this test.I also bought the IB Biology book, and so far it's helping me a great deal just for tests and quizzes. Hard to read for a preteen.Aimed at an educated adult. On the first page of the foreword I encountered "Sisyphean" and decided NOT to give it to my eleven-year-old grandson, who is an avid reader.I'll hold it until Christmas, I guess. It is a good book IF you know your comics and IF you have a liberal arts education. "Back-of-the-envelope" calculations are near and dear to scientists' - and physicists' in particular - hearts.These are arithmatically simple estimations to give a feel for the right answer.James Kakalios takes this idea to a whole new level in this book, using simplifications and estimations to determine such widely diverse phenomena as the density of the planet Krypton (Superman's home world) to the strength of Spider-man's webbing.There is, of course, a healthy dose of physics, but it's very palatable, and not at all required for understanding the points made or conclusions drawn.In fact, this book derives from a course at the University of Minnesota that uses superheroes to demonstrate physics, rather than a course to verify (or vilify) the physical realities/possibilities of the characters in the comic books. This distinction is important - Kakalios obviously has a great affection for both comics and physics, and refuses to automatically denigrate the efforts of the comic book writers.His modus operandi is to grant each hero a "one-time miracle exception" to the laws of physics, which is generally used to account for the superhero's powers.For example, it's granted that Superman can fly, or that Sue Richards (of the Fantastic 4) can turn herself invisible.Given the miracle of the superpowers, Kakalios then delves into the details or consequences of the power.What force of lift does Superman require to get himself into the air?Could Sue Richards see while invisible? (Answer: not in the visible region of the spectrum, but perhaps her eyes change to see in the UV or IR regions of the spectrum. )This method is very welcome - we all know that superheroes are absurd (yes, even Batman and others that don't technically have superpowers), so what's the point of dwelling on it? Instead, we learn a little physics and a lot of comic book history. (Well, that was the division for me - being too young to remember the Silver Age of comics, and having taken three university-level physics courses. )It's written in the style of your favourite high-school science teacher: the one that knew what s/he was talking about but was prone to making extremely goofy (and geeky) science-related jokes.These teachers are obviously enthusiastic and made it fun to be in class, and you learned the material (perhaps in spite of yourself! ).An added bonus: if you are a science teacher/professor, this book will likely give you some good ideas for new and fun examples in your classes. I enjoyed this book very much.James Kakalios has a special way of explaining physics principles in a simple way.By using examples from comic books, he makes physics fun.Unfortunately, he does use formulas and mathematics to supplement his explanations.I wish someone could explain physics without the math, but I have yet to see such a book.I recommend this for anyone who wants to confirm his/her previous understanding of physics principles. "The Physics Of Superheroes" by Jim Kakalios superbly explains the understanding of physics in a fun and new way.This terrific book demonstrates a number of important points.Physics is not an easy subject, but Jim Kakalios helps people have a better understanding of the book.It is not a book just for comic book lovers, but it is a book for people who do not understand comic books also. 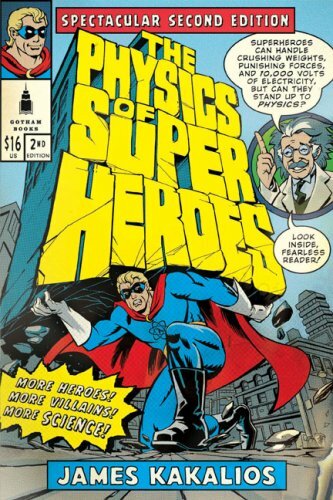 Who doesn't want to be a superhero?This book realizes the aspects of superheroes and other comic book characters.The author has written a book by combining his love for physics with his love of comic books.He has written a book for the general reader covering all of the basic points in a first-level college physics course and is difficult to put down. Kakalios also helps explain that gravity is at least 15 times greater on Krypton than here on Earth.He also explains the bad things about Spidey's web and how it cannot save people because of the abrupt stop and roughness of the web. Kakalios covers many topics such as electromagnetism, quantum mechanics, string theory and thermodynamics.He keeps you interested and sometimes even laughing throughout the book.I am not a comic book fan or physics fan, but this book is much more than that. I have read many books about the subject, they were ok but always missing something. I found this book as complete as it can be. His coverage for non-locality, EPR paradox, Bell's theorem,and the many interpretations of the quantum mechanics (Copenhagen, many worlds, Wigner's interpretation relating to the mind of the observer...) are well presented and heavily explained. I recomend this book to all the readers in physics. I hope that you will enjoy as I did. Be warned, this book assumes you know a little about quantum physics to begin with.It's not going to walk you through all the basics of the field.But for those who've had an introduction to the concepts of quantum physics, it's a great examination of the conceptual problems of quantum physics.Don't be fooled by its short length -- this is a book to be read slowly, re-read, an digested.The discussion of the EPR paradox and Bell's Theory is especially good, because it's more technical and mathematical than those in other intro books, and while therefore more difficult, it's also more rewarding. A. Rae struggles with the conceptual and philosophical implications of quantum physics (qf). His book contains excellent explanations of the destruction of determinism, because uncertainty and indeteterminism are built into qf's very foundations. He also rejects the 'hidden variables' solution to solve qf's apparent contradictions. He shows also the fundamental opposition between Einstein and Bohr. Unfortunately, this book contains a comment on the out-of-date Popper-Eccles discussion on the body/mind problem and their statement that the mind is not subject to the laws of physics. This problem has been resolved (see V. Ramachandran's linguistic solution in 'Phantoms in the brain', or G. Edelman's 'A universe of consciousness'). But I found certain flaws in the author's reasoning due mainly to the choice of bad examples. Firstly, let me state one fundamental specification: reality is a process, not a fact (L. Smolin). That is the reason why his ultimate question 'If reality is only what is observed ...' is not a good one. A qf measurement does not create the 'only' reality. Protons, electrons, dead or alive cats, DNA mutations exist, even if they are not observed. A qf measurement is part of the universal process. In qf we only measure complementarities (properties) as Bohr stated. Secondly, A. Rae states that macroscopic processes are irreversible (the second law of thermodynamics) and microscopic ones reversible. For reversibility he chooses as example the collision of two molecules. I doubt firmly that in our universe after the collision the molecules can (without an exterior intervention) go back to their initial states. Those interactions are 'theoretically' reversible. On the other hand, the life or death of a cat is a macroscopic event. The cat example is a good 'figure' to explain the qf theory, but it is a bad one to build a conceptual or philosophical theory on it. Nobody will calculate the outcome of a certain event based on a dead/alive scenario if a simple look at the cat's condition can eliminate 50% of the possibilities. The same goes for the DNA mutations. The theory of I. Prigogyne (his books are difficult) is certainly a step in the good direction. As reality is a process, indeterminism should also be the fundamental cornerstone for classical physics, but naturally not in our daily Euclidian life. In the case of the 'many worlds' question, I prefer Rudolf Peierls's solution where he proposes to speak of many world 'possibilities' (see P. Davies' 'The ghost in the atom'). This is a thought-provoking book. Not to be missed. Since the formulation of quantum theory in the 1920s the Copenhagen Interpretation of reality has been the mainstream view among physicists. But this interpretation has been uncomfortable for many, because it raises a number of paradoxes. The lack of cause and effect, (indeterminism), the so called "observer effect (quantum measurement problem), and non-locality, are among them. 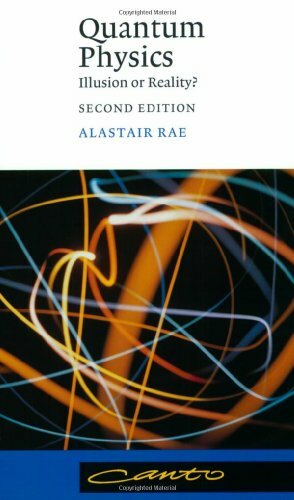 Waisting no time in this 118 page book, Alastair Rae grabs the reader in the very first sentence of the book by quoting Albert Einstein's famous pronouncement: "Does God play dice [with the universe]?" Using impeccable logic and only a bit of mathematical jargon, which can be circumvented by the reader, Rae sets out to solve many of these paradoxes. Citing experiments with polarized photons of light, he asks: What exactly constitutes a measurement? Does a measurement occur when a record is made? Or does it take consciousness to collapse the wave into a definitive particle? Is there a resolution to the Schrodinger's Cat paradox? How can we explain nonlocality? Rae systematically entertains and rebuts in a convincing and objective way many different philosophies put forward to make sense of quantum reality. Some have claimed, most notably Niels Bohr, that it's the interaction of the partilce with a macor-measuring device that instigates the collapse. Others believe that it takes a consciousness to create reality. Still others, looking for a way to save determinism, and circumvent the measurement problem latch on to Hugh Everett's many-world interpetation. Ironically as Rae points out most scientists claim to be "positivists", believing that it is meaningless to speculate on unobservable quantities. yet, they apparently have no problem believing in a myriad of unobservable and unmeasureable universes, completely and irreversibly cut off from our own. In the final two chapters Rae objectively entertains what he believes is the most likely resolution of the quantum measurement problem. His idea was first proposed by Ilya Prigonine who won the Nobel Prize for his work in the field of irreversible chemical thermodynamics. The classical idea put forward by Prigonine states that there is an irreversible arrow of time and the second law of thermodynamics is never violated.Citing Prigonine's work, Rae explains: If no measurement is made of a quantum system no impression has been made on the universe, and the information which could have been obtained can be reversed and destroyed. If, however, a measurement is made, a change of some sort has occurred, either in the measuring device or our brain. The measurement has impacted the universe in some manner, and as a result the macro system must now follow the second law of thermodynamics, which has and arrow of time and hence is irreversible. Rae states that "if we follow Prigogine's approach, indeterminism becomes an implicit part of classical physics. Has Alastair Rae accomplished what he set out to do in this Book? Not quite.At the beginning of the book he states that he will tackle the problem of indeterminism, yet he spends most of his time attempting to explain the quantum measurement problem which is something quite different. And when he does address determinsim it falls short on several points. First, a Prigogine macro system is indeed unpredictable, but it is not indeterminate as Rae seems to imply. Rather, it is a determinate and irreversible system having and arrow of time and an initial cause, no matter how subtle. Secondly, he fails to address the process of nuclear decay, and the jump of the electron from one orbit to another--both of which are "real" and indeterminate. Finally, in regard to the quantum measurement problem. Rae does not take into account recent experiments done with photons as cited in Scientific American (November 1991). In this particular experimental set-up at the Universtity of Rochester, researchers demonstrated that "The mere possibility that the paths can be distinguished is enough to wipe out the interference pattern." There is no measurement made, no record made, and no interaction with a macro system. Yet, the collapse of the wave happens without interacting with a macro sytem. Therefore, it seems that Ray's explanation of a resolution to the problem by creating a record in a classical Prigogine system is invalid. This is still a very well written, concise, and provacative book and I would recommend it for those who want to understand the basic principles and paradoxes of quantum reality. This review written by: Quantum Reality1, author of "Quantum Reality: A New Philosophical Perspective."